The initial phase of a piglet’s life is hugely important for the rest of its life. A good body condition lays a healthy foundation for later. The transition from (sow) milk to solid feed must proceed smoothly. The Start-up feeder encourages feed intake during the suckling period. This leads to a better feed intake post-weaning. The Start-up feeder is easily accessible for the nursery piglets. 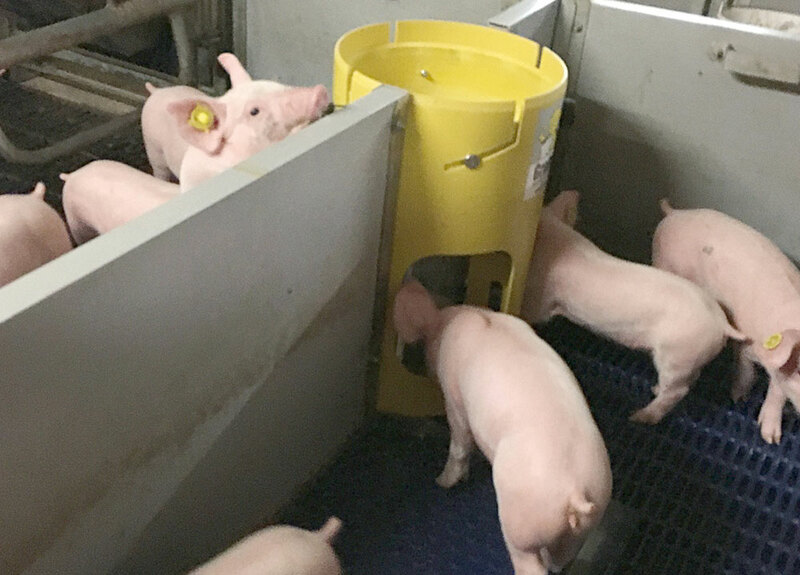 The feeder encourages the piglets to intake feed quickly in a playful way. The way the feeder is divided prevents the piglets from walking over the feeder. Not only hygienic, but also efficient, as less feed is wasted. 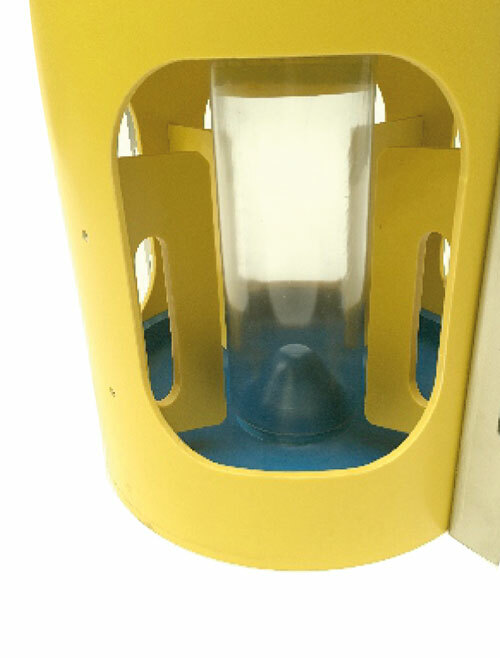 The feed dispensing funnel is removeable, for easy cleaning of the inside and outside of the feeder. The feed pipe is transparent. 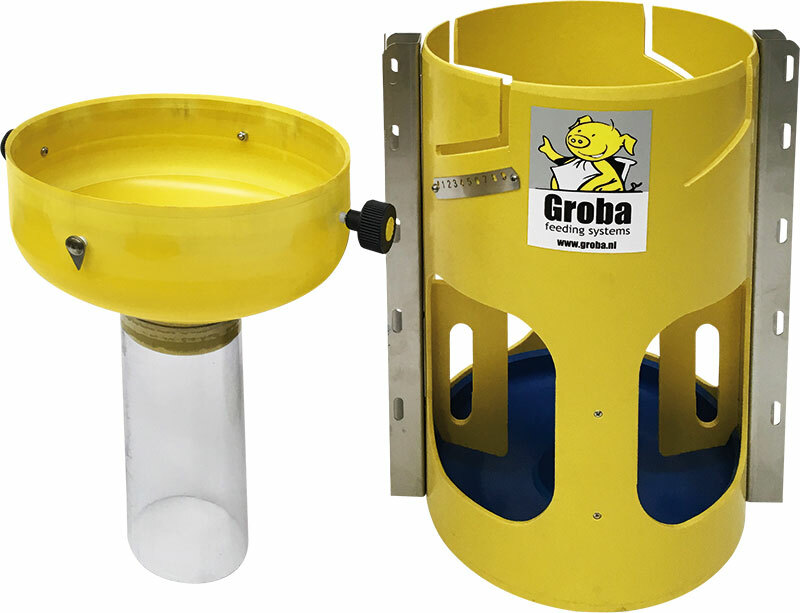 Other Groba products that may be of interest to you: Grofit, Grofast, All-round feeder or our Stalko dry feeders. Removable feed funnel. For quick and easy cleaning on the inside and outside.